This favorite pastime doesn’t have to be reserved for the holiday season. 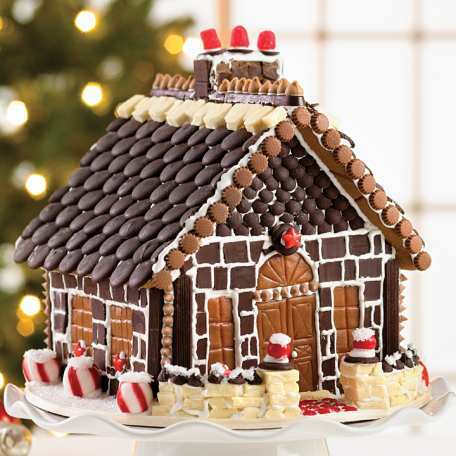 Building and decorating gingerbread houses is a fun way to spend any day, especially during the cold and snowy weather. Invite friends and family over to show off their creative talent! You can always purchase kits at the store, but making the pieces yourself is also an option! Tipnut.com provides a classic gingerbread recipe and 12 unique house building templates - you can check them all out here. Use a royal icing recipe, like this one, to hold the houses together (FoodNetwork.com). After the building materials are secured, create a decoration “bar” by setting out a variety of candies in small bowls. If your pals are a competitive bunch, turn the party into a contest! Offer a small prize (or bragging rights) to the best and worst houses. Nothing beats a cold day like hot chocolate, hearty soup or a warm bowl of chili. Host a potluck of feel-good foods! Create a cozy atmosphere by incorporating ski lodge-esque décor, like plaids and burlap. These plaid party decorations shared by SouthernLiving.com are great inspiration! Complete the ambiance by adding an acoustic guitarist to the event. On the invitations, ask each guest to bring their favorite winter meal. If you invite us, we’re bringing baked macaroni & cheese – YUM. Bad sweaters + bad singing = a guaranteed great time. Break out your most outrageous winter attire for this fun get-together. (We recommend mixing sequins, argyle, or anything in your closet from the 80s). 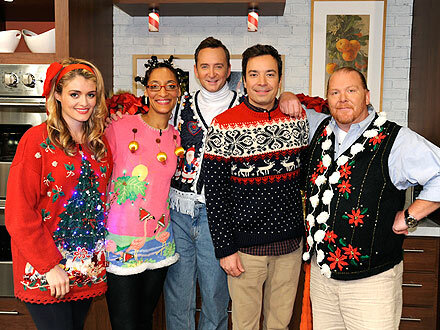 Check out the above photo of The Chew cast and Jimmy Fallon to spark your creativity. The wackier, the better! Then, to make the party even more hilarious, book a karaoke DJ! Hint: A few good beverage choices help, for courage purposes. 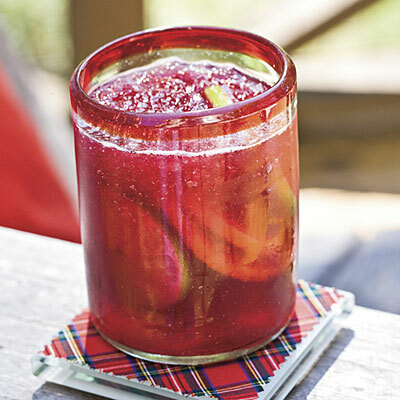 Use these fun party ideas will curb your cabin fever. No matter the season, there’s always reason to celebrate!